Before and after shots from above. Click to view larger. 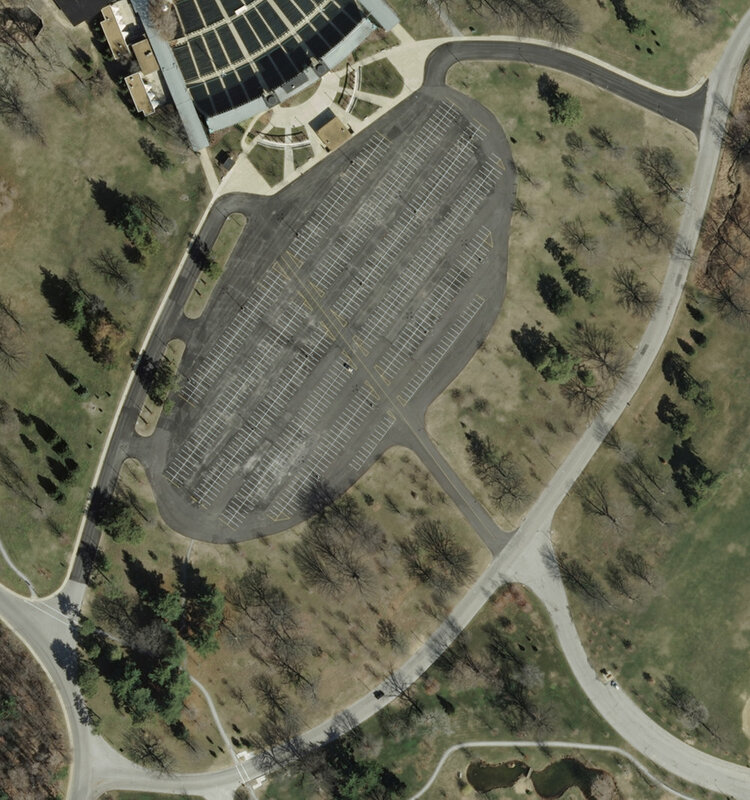 Transforming the Upper Muny lot into the Festival & Parking Plaza was one of the first successfully completed Forever campaign-funded projects. In the spring of 2015, this area reopened after over a year of construction. The space, which had formerly been little more than a crumbling sea of asphalt, became a multifunctional and sustainable space capable of not only housing parked cars, but also welcoming large scale community events. Several community events have already utilized the improved Festival & Parking Plaza since it was reopened — including various walks and runs and the always popular Easter Concours d'Elegance — but one of the Park's biggest annual events will be moving here for 2017. With Central Fields undergoing renovations, we are excited that LouFest will be taking advantage of this space for this year's festival. 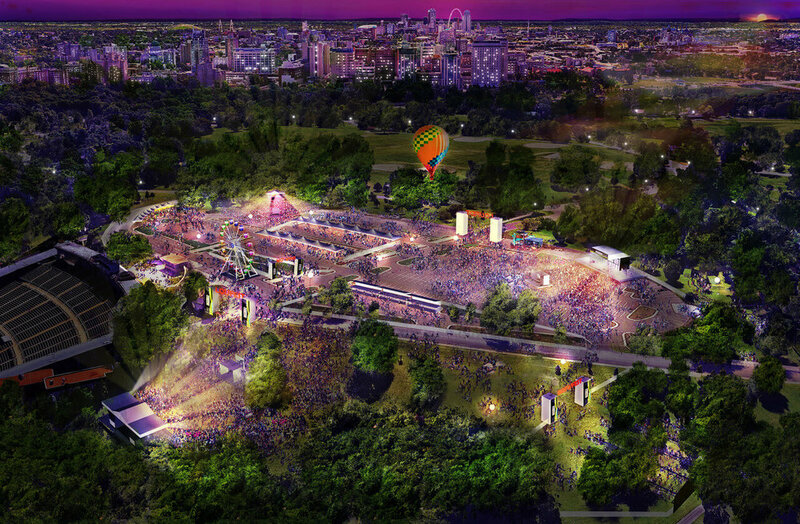 The popular music festival will welcome over 30 acts to Forest Park on September 9-10. With music spread across three stages, art markets, a kids area and plenty of dining options, LouFest always draws a large crowd – about 25,000 people attended both days of 2016's festival! Being able to host events like this, ensuring a great experience for both organizers and attendees, is exactly what the Festival & Parking Plaza was intended to do. A parking lot that can accommodate over 700 cars is valuable, but having a space that can do that and easily function in other capacities as well is even better. It is only through the generosity of Forever campaign donors and our partnership with the City of St. Louis that this project was able to come to fruition. We look forward to seeing the myriad ways the space continues to be used over the coming years.